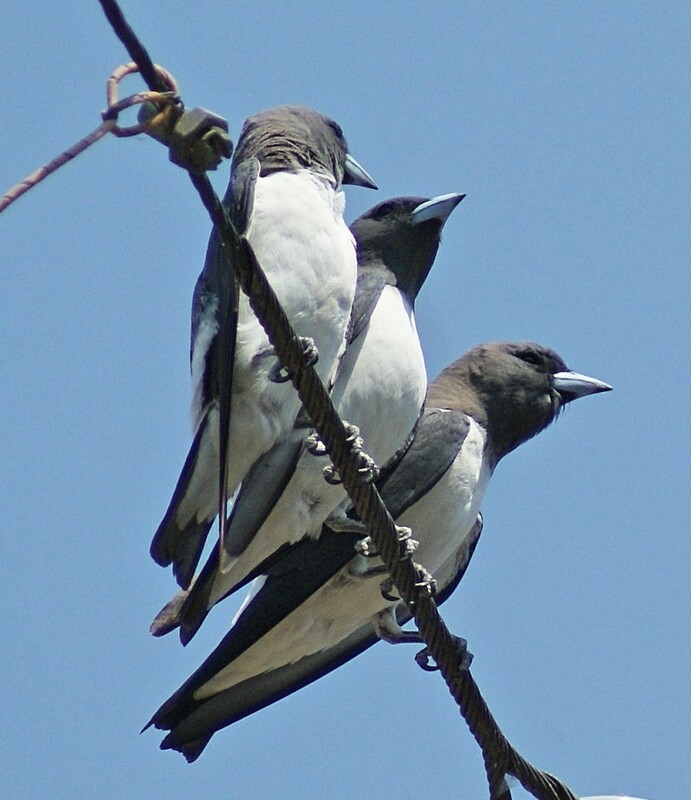 Woodswallows are a small relative of Australian Magpies, Butcherbirds and Currawongs. They look superficially like swallows in flight, but can soar while hawking for insects, which no other passerine can do. There are several species in Australia and one of the commonest in the north is the White-breasted. 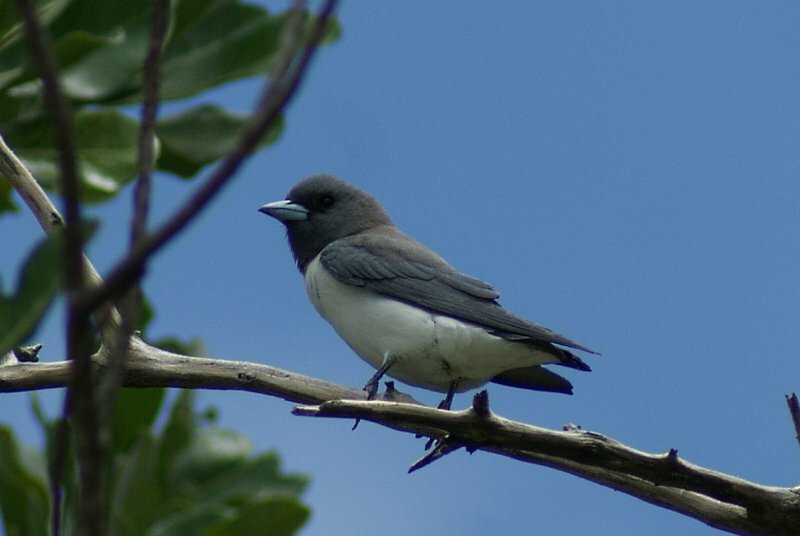 They are one of the smaller woodswallows at around 17 cm.